He's only 34, and already heads two major companies — a venture capitalist fund that invests in promising start-ups and a maritime info-communications firm. But Nicholas Chan's life could have gone down a very different path if not for a near-death, life-changing experience in 2004. Speaking to Yahoo! Singapore Finance during a casual interview last month, the entrepreneur recounted how he was deployed to Vietnam when he was just 26. "I was not having a good time at home and I was having relationship problems," he said in between sips of his cold Hibiscus drink at a cafe. He was in Hanoi, riding a Scrambler down a dirt road without a helmet, travelling at over 80 kilometres per hour, not giving a care if he died or not, when out of nowhere, a woman on a motorcycle swerved into his path. He quickly swerved, nearly hitting her and his motorcycle skidded across the road. Surprisingly, he managed to catch himself and landed safely, sustaining only a few scratches. What was more surprising was that the accident happened right next to a church. Just a week ago, Chan was given a brochure by the Novena Church in Singapore to attend the Youth in the Spirit Seminar and for some reason, he kept the brochure in his pocket and brought it along to Vietnam. These signs proved to be too much of a coincidence, he said. "When the accident happened, I looked at the church and I thought: okay maybe it's time to really start wondering what I'm doing with my life," he said. "Maybe it's time to recollect and start thinking about whether what I think as an individual is right, or is there something else that's trying to call me home." Chan is the founder and executive director of venture capitalist firm, Azione Capital. His company helps incubate and invest in early start-ups in the digital media, cleantech, and social economy sectors as well as the telcommunication and maritime industries. It has invested in 27 companies thus far. 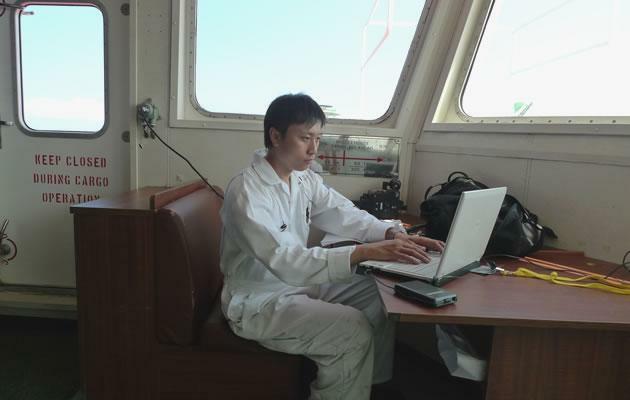 Besides helming Azione, Chan is also the managing director of maritime info-communications firm Fredrik Marine IT Services. "When I was younger, I was involved in some unsavoury activities. Money was easy, life was fast," said Chan of his life before his near death experience. "But somehow when you get to the edge, to the point of losing everything, you sort of wake up." Since his close shave, the path became clearer for him and he began the journey back to a more grounded, ethical life. In 2006, while Chan was volunteering as a mentor for Project Senso, he and other mentors were approached by the Media Development Authority (MDA) to provide seed funding for aspiring entrepreneurs. Later that year, Azione Capital was formed. To the founders, Azione Capital seemed like the next logical step to take in helping the next generation of entrepreneurs. "Senso is the Italian word for direction while Azione is the Italian word for action," said Chan. "Why Italian? Because that's where the renaissance came about and there was tremendous improvement in intellectual thought, the arts and the economy," he explained. "So we thought that we'll like to replicate that and follow the spirit of the renaissance." Riding on their success thus far, Azione Capital is now looking beyond Singapore to help other startups in the region. It is planning to invest in five new companies with deals expected to be signed in the first quarter of next year. It is also now trying to raise S$50 million for its WarChest Fund I, Chan said. "We're doing more consulting work and raising new funds to help invest in more companies around the region," he said. When talking about his job as head of Fredrik Marine IT Services, something lights up in him and it is immediately apparent that he is truly passionate about his work, which revolves around solving ship crew's IT and communication problems. He described what he and his team do as being a real-life "MacGyver" — a secret agent from a 1980s TV show with the ability to solve complex problems with everyday materials. "We have to make something impossible happen and make it possible. That's basically why I enjoy going on ships," he said. "It's fun." When asked how he manages to juggle his time between so many different engagements, Chan laughs and admits openly in Singlish that he has "no life". But he was also quick to point out that he's happy with things as they are, simply because he loves what he does. Despite being unable to make it to university, Chan doesn't feel like he's missed out. The driven individual starting working when he was 12, doing a variety of jobs ranging from being a ride operator at Haw Par Villa to being a consultant at American telecommunications firm AT&T Global Information Solutions (now NCR Corporation) where he got his first break into the consulting industry. After he completed his 'O' Levels, Chan went to Singapore Polytechnic (SP) to study Electrical, Computer and Communications Engineering but had to leave after a year when he failed to pass his engineering mathematics module. Chan then went to Ngee Ann Polytechnic (NP) where he did a Diploma in Film, Sound and Video. To him, however, he feels that most of his learning came from years of work and business experience rather than his formal education in school. "Experience gives you so much depth of understanding and wisdom that cannot be fully grasped by simple frameworks and thought processes," he explained. "Those frameworks are good for academics, but here's no way a person can read a book about Michael Phelps and swim like him without ever touching a pool," said Chan, who started his first business in the IT import and export business when he was just 16. "My mentor helped give me a leg up in registering my first business partnership when I was 16 and inspired me to be like him," he said, referring to the former chief executive officer of Sim Lim Co. Pte Ltd, Soon Choo Teck, whom he met in 1992. "Being a mentor is the least I can do to help the next generation…and it will really help shape the next generation (of entrepreneurs)." Speaking to the outspoken and candid man, one would not have known that he was diagnosed with autism when he was young. Chan said that he had difficulties communicating with people and could not even look them in the eye. Being an entrepreneur taught him how to deal with clients and suppliers, which was valuable in helping him to overcome his autism. "I think being an entrepreneur, for me, is the greatest self-development course I could ever take." 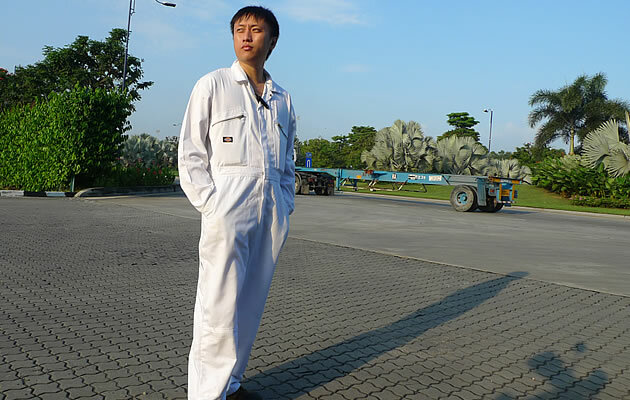 So what would it take for more Singaporeans like him to step up and become entrepreneurs? "I would say that entrepreneurs-wise, it's not about more or less. It's simply a calling. If you're called to be one, you're called to be one," he pointed out. "Many people don't realise that an entrepreneur exists for the spirit of service," he continued. "Entrepreneurs are forged through pain and suffering… you have to be called to be able to say, 'I can take the suffering and I truly know that I can help society with the products and services that I offer, and the jobs that I create'."